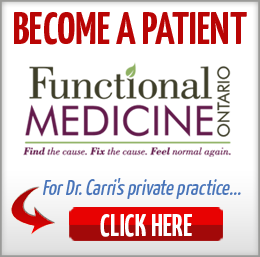 In this episode of The Functional Medicine Radio Show, Dr. Carri’s special guest Dr. Carolyn Dean explains the many benefits of magnesium. 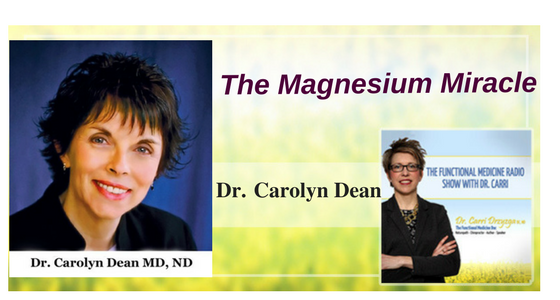 Dr. Carolyn Dean has been in the forefront of health issues for over 30 years and is the leading expert on magnesium. She is a medical doctor, a naturopath, herbalist, acupuncturist, nutritionist, and inventor who has authored and co-authored over 35 books including The Magnesium Miracle. 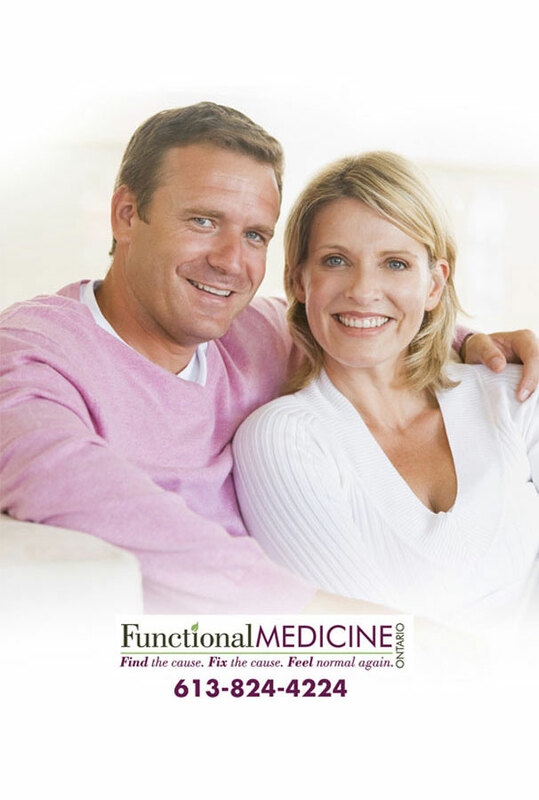 She is passionate about helping people of all ages achieve optimal health by taking a holistic approach to wellness. 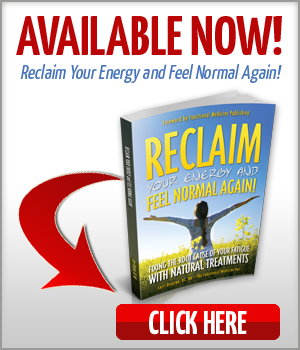 How do people become magnesium deficient, and why isn’t it more well-known? Should calcium be balanced with magnesium? What tests do you recommend for accurately measuring magnesium? What are the different forms of magnesium? Could you start taking magnesium and vitamin C to help detox instead of gross powders? How does magnesium deficiency relate to anxiety and depression? Magnesium is a cofactor for about 700 to 800 different enzymatic processes in the body. Genetic mutations can be driven epigenetically by too much or too little of a nutrient. Soil has become depleted due to industrial farming. A hundred years ago, we would get 500 milligrams of magnesium in our daily diet – now we barely get 200 milligrams. A deficiency could result in heart palpitations, leg cramps, migraine headaches, and stomach spasms that feel like heartburn. 65 conditions due to magnesium deficiency could be misdiagnosed as serious diseases for which doctors prescribe strong drugs. Proper testing for magnesium is not done in modern medicine. Only 1% of total body levels is found in veins, which is there to protect the heart. Measuring serum magnesium is not a good test because it gives a false normal. 6 of the 8 steps of the cycle that makes energy require magnesium. 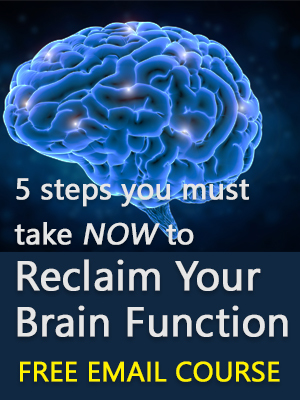 Many medications deplete this important mineral and make the condition worse. Many drugs have fluoride to make them more powerful, like the statins, Cipro and Prozac that can cause tendon rupture. Athletes get depleted of minerals and try to replace with Gatorade which is just sugar and salt. Mineral depletion in athletes weakens them, resulting in infections for which they get antibiotics, which can cause tendon rupture due to deposition of fluoride from drugs. Fluoride in drugs binds to magnesium to form an insoluble, brittle compound, magnesium fluoride which gets deposited in tendons and bones. If you must take Cipro, you need to take a lot of magnesium to replace the loss. People with stress end up with elevated blood pressure and then prescribed diuretics which further deplete them of potassium. Magnesium is a calcium channel blocker but instead doctors put high blood pressure patients on calcium channel blocking meds, diuretics and ACE inhibitors. Deficiency also leads to elevated blood sugar and cholesterol, so high blood pressure patients often end up with these conditions as well. Low magnesium is a risk marker for diabetes. High blood pressure patients on statins may end up with heart failure due to extreme depletion as a side effect of all the meds they are on. We should be taking an equal ratio of calcium to magnesium to prevent heart and kidney diseases that result from an imbalance of calcium to magnesium. It is the safest mineral – too much can just give you a laxative effect. Tested with magnesium RBC test or better still the ionized magnesium test. You levels need to be above 6. It’s best to start supplementing slowly and see how you do. Magnesium chloride is a good form as it is highly absorbable and avoids the laxative effect. Magnesium also helps with detox because it helps the liver enzymes, specifically the CYP450 detox enzymes. Any type of anxiety should first be treated with magnesium, not strong drugs. It is the best sleep “medication”. Magnesium gives you energy in the day and calms you down to sleep at night. It relieves anxiety and depression. It balances serotonin and works on many levels in the body. An Epsom salt bath (or footbath) is another great way to get more magnesium.